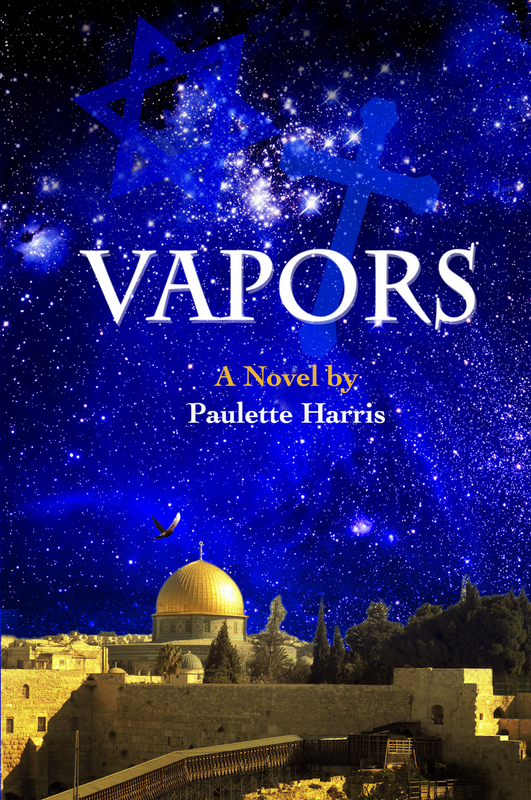 I had the opportunity to design a book cover for a book called Vapors by Paulette Harris. Initially, when I was approached to do the project and learned that the book was about the End Times, I really had no idea how I was going to go about it. However, after a few conversations with the author and a little brainstorming, something quickly came together in in my mind. Paulette, the author, had wanted to use some imagery from NASA (perfect considering I had had an internship there) and she had mentioned the story being set in The Holy Land. So I went from there and after constructing a quick mock-up and e-mailing it to Paulette, it became very clear that we were both on the same page! We had a design for her book cover! So after several months of finalizing and tweaking, Vapors is now complete and available for purchase. I am very proud of Paulette for this exciting accomplishment. 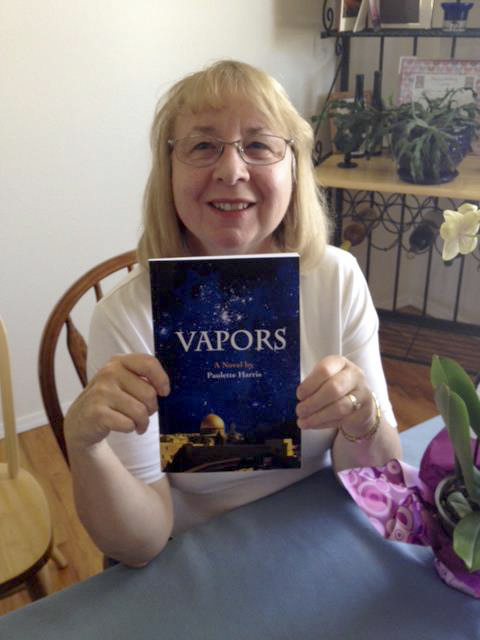 She had developed the storyline of Vapors in 1999 and finally was able to get it published! She worked hard and was determined but she also had some caring friends and family that pushed her forward through the process. It was a lot of fun to work with this sweet author and her story inspired me. Because of that I wanted to share a little about her and her book so that you too might be blessed by her. I’ve been writing all my life. I became serious about the art when I was in rehab for a replaced hip in my 40’s. I wrote my first novel long hand in the hospital about a Peruvian Paso horse. 2. What inspired you to write Vapors? I was inspired to write Vapors because I was a teacher and I saw what was coming as I taught young minds. I love the Book of Revelations. My favorite author is C. S. Lewis and I loved the story that George Orwell wrote about the future. I believe it was called 1984? 3. What was your favorite part to write in Vapors? My favorite part in Vapors is when God saves the hero of the story. He repents and works diligently at listening to him for his God given purpose. I also love how God brought people together miraculously. 4. What is your hope that God might do through Vapors? My hope is that people, especially younger people would come to accept and know the Lord Jesus Christ as their personal Savior, to listen to him and his direction for their lives and they would hunger for the Word of God in their lives rather than to just “listen” to what other people tell them, which might not be the Lord or his Word at all. 5. You said you want to make this into a series, how many books do you hope to create in the series? If there is to be a series it may be two more books; haven’t had a clear leading of it yet. But have one that’s tickling my mind as I try to wrap up other work. 6. 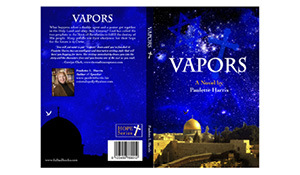 Do you think that Vapors is relevant to what is happening with today’s politics and the Middle East current affairs? I totally believe that Vapors is relevant to what is happening with today’s politics and the Middle East current affairs. Based on the Mayan Calendar that predicts endings and there is nothing past Dec. 2012, I believe that this is appropriate and gives some answers for people today. Of course, remember this is fiction!! 7. Where and how can people purchase Vapors? Vapors can be purchased at www.fullsailbooks.com Gretchen Ricker is the publisher and Naphy Joiner is the illustrator, both experts at what they do and I’m so thankful for their love and support for this book. 8. If people want to learn more about you and your writing, where should they go? I have a new website that I’m working on. www.pauletteharris.com which connects with my other books, sites, etc. What a treat to be able to get a first-hand interview with the author! Thank you so much Paulette for sharing. I am excited to dive in and finish your amazing book! Congrats Paulette on this great accomplishment! I am excited for you and Vapors success! Thank you so much for such a great blog about Vapors. A book close to my heart and a desire to reach out to others. May God Bless you richly and abundantly.